Scalp Brush Therapy is a simple, effective way to prepare the scalp for proper Scalp Cleansing before applying topical Natural Hair Loss Treatments. Scalp Brush Therapy has many benefits including loosening scalp scale, scalp skin exfoliation, oil gland stimulation, release of oil to be safely cleansed with Absolique Scalp Cleanser. Scalp Brush Therapy also stimulates the muscle attached to each hair follicle. This increases scalp circulation. This stimulation will deliver blood, oxygen and required nutrients to the hair bulb. Absolique Scalp Cleanser (or alike), should be used directly after Scalp Brush Therapy for best results and for preparation of natural hair loss treatments. Scalp Brush Therapy Instructions: Scalp Brush Therapy should only be performed on dry scalp and hair and should always be followed by scalp cleansing. Detangle longer hair lengths before Scalp Brush Therapy. Divide head and hair into 2 sections, front and back. Front is hairline to mid head or crown and down to sides above ears. Back is nape to crown for long hair and crown to nape for short hair. Begin at front directing brush onto scalp and through hair from center of head in line with nose. Direct brush away from face working down toward right ear and then back over head to left ear and so on creating a fluid motion. Repeat the same method for back working from nape to crown with head tipped upside down for longer hair. For short hair work from crown to nape with head upright. Count brush strokes until you reach 50 at the front and 50 at the back. 100 brush strokes in total or until you feel heat, oil or tingling sensation on the scalp. Specifically designed Scalp Brush for Scalp Brush Therapy is available from Absolique Hair Health Clinic Sydney. This purpose designed brush has bristles that won’t break fragile hair, rounded tips that won’t damage sensitive or sore scalps, and a good cushion acting as a shock absorber protecting the scalp. Absolique Scalp Brush was designed to be used with hair loss treatments and scalp conditions. Always consult Absolique Trichologist Sydney before introducing Scalp Brush Therapy if you have scalp problems. Watch the Scalp Brush Therapy video on our website http://www.hair-loss-treatments.com.au/products/scalp-brush-therapy/. 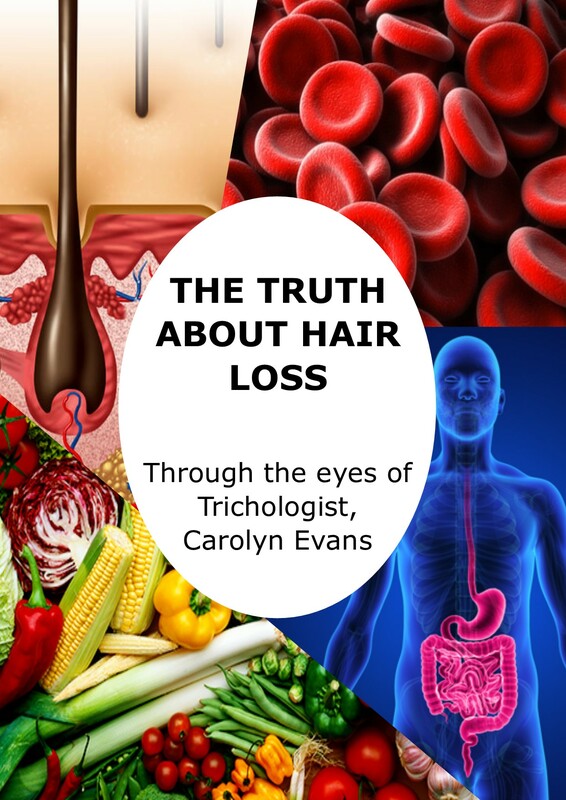 Contact Absolique Hair Health Clinic Sydney Team on 02 8014 6916. 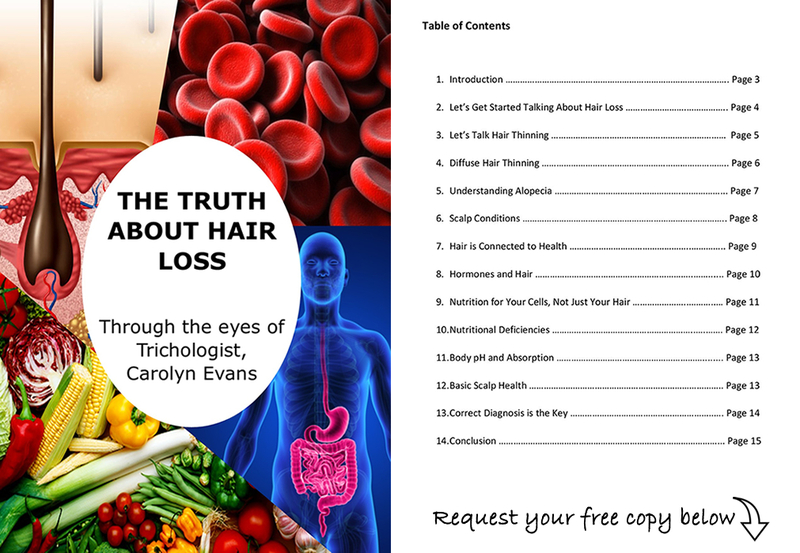 Email Absolique Trichologist Sydney Carolyn Evans-Frost for more information on Scalp Brush Therapy for Natural Hair Loss Treatments. Email address info@absolique.com.au.